Lucky for all of us, beautiful weather is still in full-swing here in San Diego! The water is still warm and the sun is still shining making perfect conditions to enjoy some time in or on the water. If you have been wanting to learn to surf, check that off your bucket list and come down to MBAC and let our instructors teach you! Even if you don't have a lot of time we offer a Two-Session Surfing Course, and even a One-Day Intro to Surfing Course that is designed to get you started. Grab your family and friends and head down to the beach to learn a fun, new activity that you can all do together. Our short courses may turn you from a rookie to a pro in no time and may even develop a new life-long appreciation of surfing and the ocean. 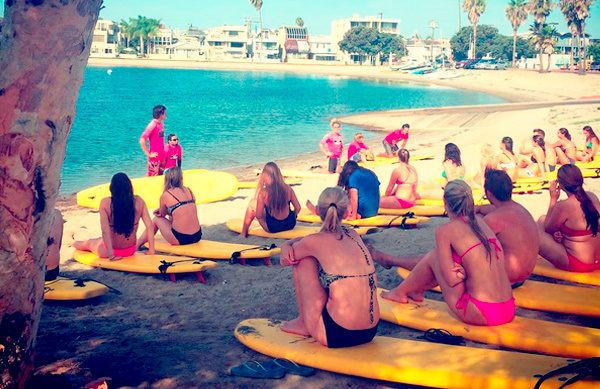 Don’t let this awesome San Diego weather pass you by--Register for a surfing class TODAY!